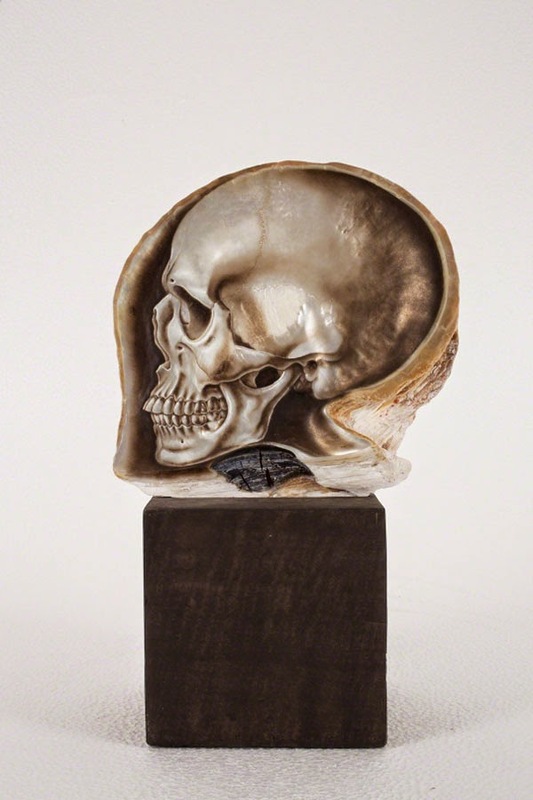 Filipino artist Gregory Halili meticulously carves, sands, and paints these skulls on mother-of-pearl shells. 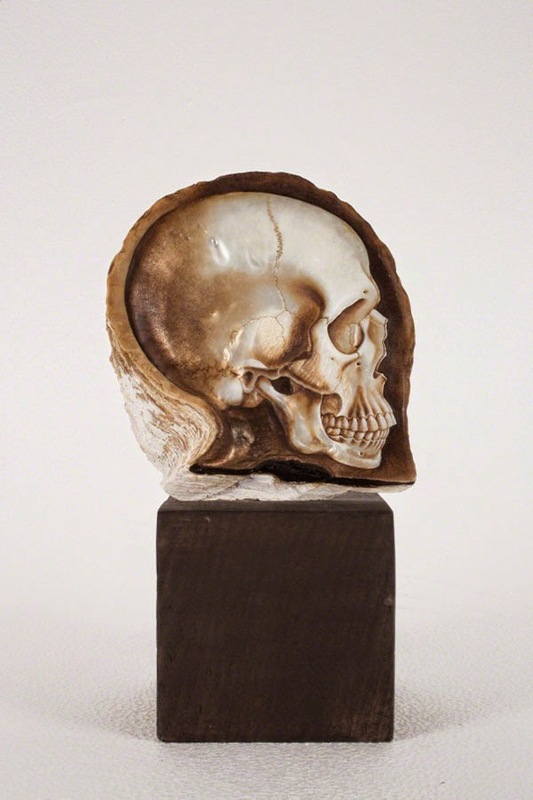 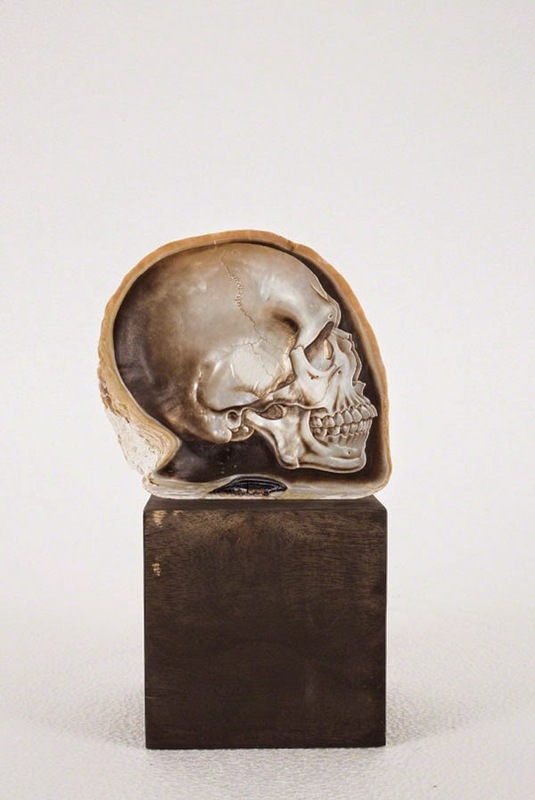 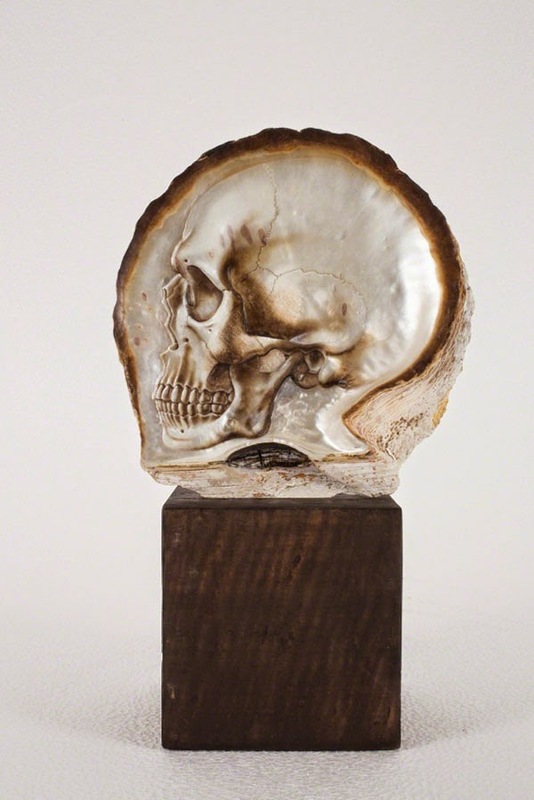 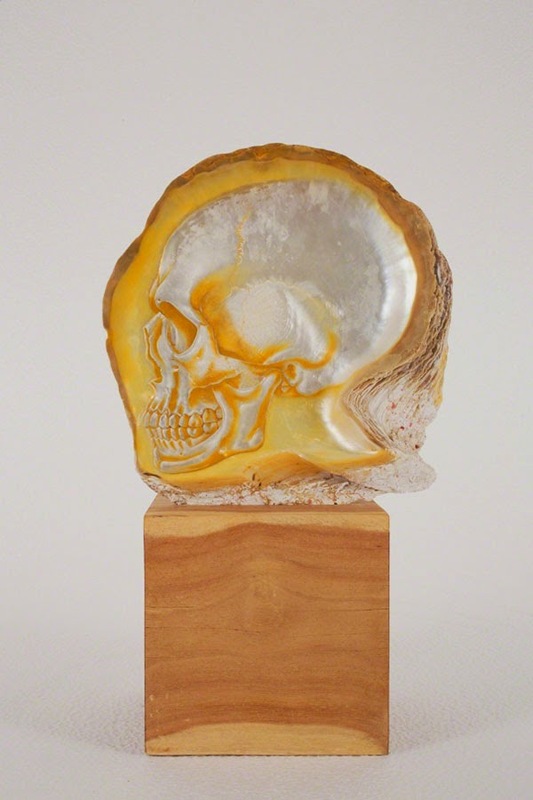 The series began when he noticed the iridescent shells echoed the shape of human skulls at the markets in the Philippines and from there, developed a painstaking process of carving and painting the shells, drawing upon the sfumato technique to give them a mystical quality. 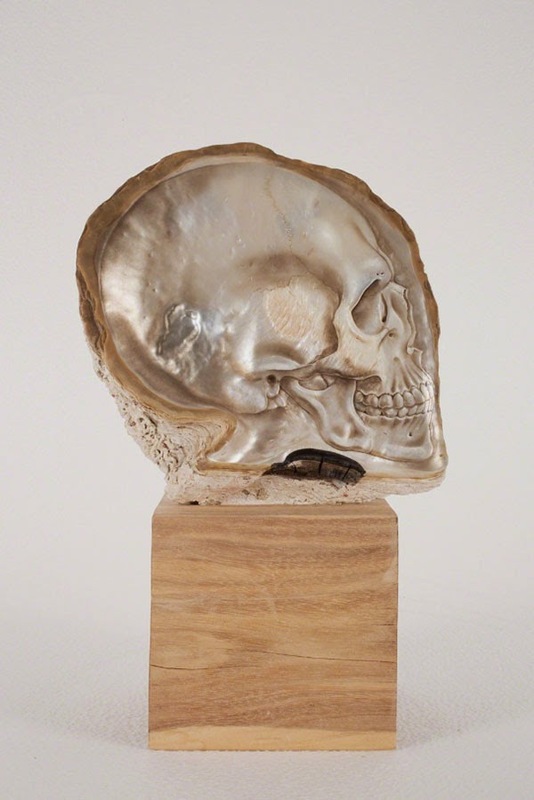 The ornate works explore life, death, and resurrection and were inspired by his experiences living between the Philippines and the United States. 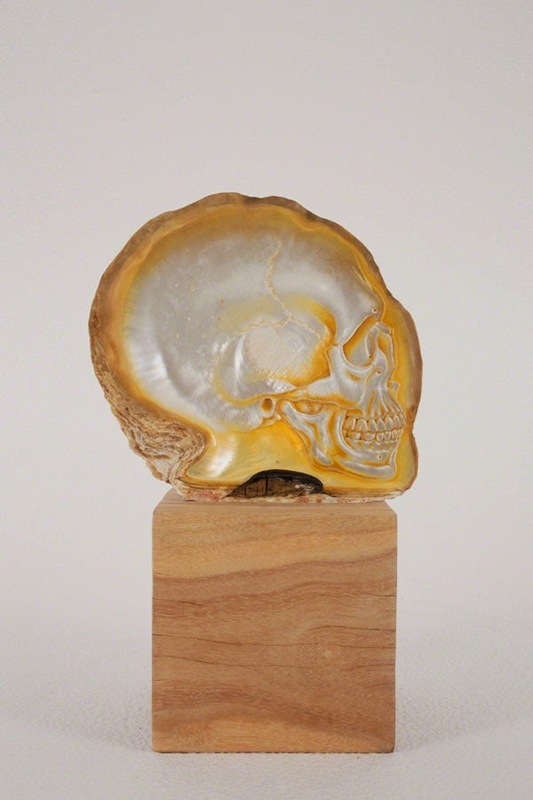 On view at Silverlens Nov. 27 – Dec. 20.